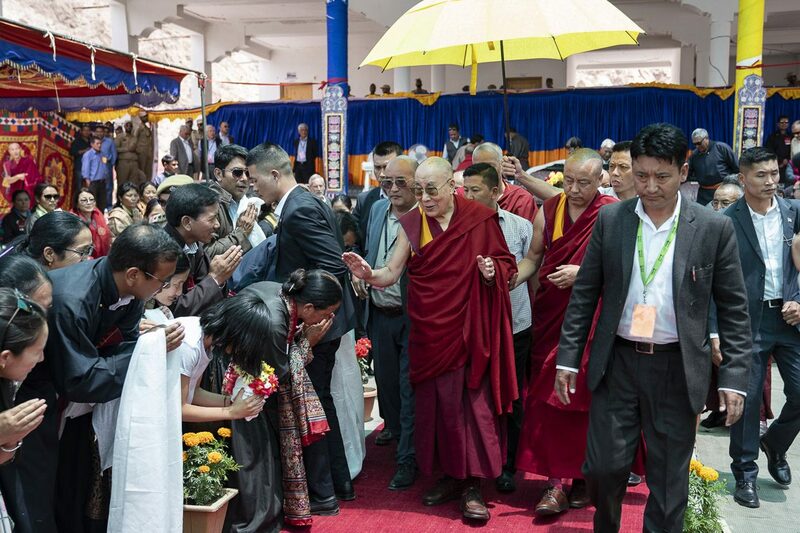 Ladakh: After a whirlwind of public engagements in Nubra, Zanksar, and Kargil, His Holiness the Dalai Lama began his last leg of engagements in Ladakh. At the invitation of a former member of Rajya Sabha, Thiksey Rinpoche, His Holiness visited the Thiksey monastery. Addressing over 2500 people gathered, His Holiness acknowledged the progress in Ladakh in terms of setting up of new schools and accordingly a better standard of living for the people. His Holiness explained that for human lives material development alone will not suffice and cited the case of people in developed societies in Europe, the USA, and Japan, who remain discontented and unhappy in spite of remarkable material development. 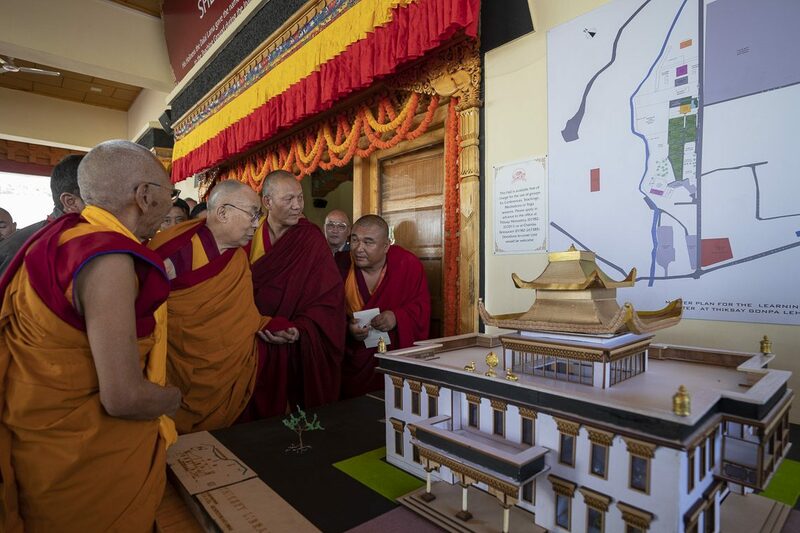 His Holiness lauded Thiksey Rinpoche’s plans to include secular ethics in Thiksey monastery’s school curriculum and highly recommended the study of psychology and logic. His Holiness extolled the efforts of Muslim and Buddhist communities in Zanskar to foster interfaith harmony and said that one has to overcome narrow-minded, outdated attitudes and perspectives to achieve communal harmony. His Holiness also mentioned political intrusion as one of the causes for communal discord. His Holiness denounced factionalism and said that the purpose of all religious practices is to combat negative emotions like anger and hatred and not to fuel them. Reasoning why all religious traditions must teach love and compassion, His Holiness said selfish motive will not bring any gain but that one can win friends and supporters by being selfless and caring for others.